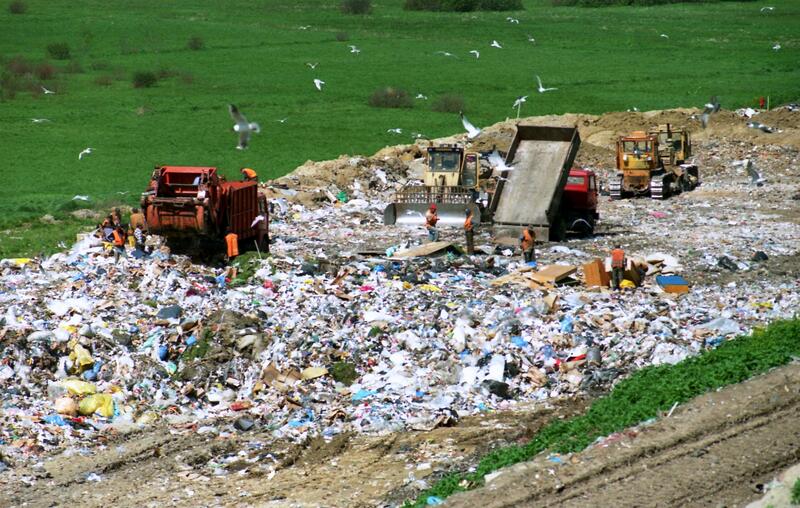 Landfill was traditionally regarded as one of the main means of waste disposal. Its popularity can simply be ascribed to the fact that it is one of the most cost-efficient methods of disposing of waste. Naturally it has been especially popular in countries where large open spaces were available. However, as a greater focus on more sustainable waste management programmes has come to the fore, landfill sites and their potential to pollute the local environment as a result of the methane naturally generated by decaying organic waste are a hotly debated topic. The UK, for example, has been very dependent on landfill but it has an ever-increasing amount of waste being generated. With more than 200 million tonnes of waste generated in the UK in 2012, it’s no wonder the country is expected to run out of new landfill sites by 2020. As a result, advances in technology and the growing pressure to reduce emissions have meant waste is now becoming a valuable source of power generation. Today, there is more and more investment behind unconventional power sources such as solar, wind and municipal waste as the global demand increases day by day. Furthermore, a recent report from Frost & Sullivan shows that the waste-to-energy market will reach £17.05 billion in 2016. This step change in energy production signals an exciting time for the power sector. It was recently reported that an anaerobic digestion plant in the UK would process 45,000 tonnes of food waste from household and commercial sources to produce 2.1 MW of electricity. In the USA, one waste-to-energy plant has been constructed to process more than 1 million tons of municipal solid waste per year, reducing the reliance on landfill by up to 90%. It’s these innovations that are driving the waste-to-energy sector forward and are why renewable fuels are expected to be approaching 4% of global energy demand by 2040. Europe is an important player in the waste to energy market, with Germany leading the way in biogas production. Germany has almost 8,000 biogas plants employing 41,000 people and in 2014, more than 26 billion kWh of electricity was generated from these plants. Other European countries are also contributing to the development and production of biogas – the UK, Italy, France and the Netherlands are all important markets. Germany’s primary source is biomass waste, whereas the UK’s electricity is predominantly generated from landfill gas – a trend driven by the high amount of waste the UK produces every year and the shortfall of space to house it. Outside the EU, the opportunities to transform waste to energy are vast. Many initiatives are already underway in the Middle East, for example, with Qatar currently generating 30MW of electricity. Meanwhile Saudi Arabia and the UAE are setting production capacity targets to help improve their waste management. Whereas in Africa, there is still more work to be done to enable efficient use of waste. Although some urbanised cities have started to implement effective waste management techniques, including recycling and composting, more education is needed to promote the benefits of waste management and the technologies to do so need to be made readily available. One of the strongest cases for generating energy from waste is its potential contribution to climate change. It has a valuable role to play in both diverting waste from landfills and in power generation. Converting this waste into gas can help reduce emissions that would otherwise be released into the atmosphere as the waste decompose in landfill sites or on farmland. However it’s not without challenges. The biggest issue is how we can use this waste safely and efficiently to generate power. The composition of landfill gas, in particular, typically has methane concentrations of around 45 to 60% and it can also contain a number of harmful contaminants including halides, volatile organic compounds and siloxanes. These siloxanes are used in the manufacture of personal hygiene and healthcare products such as deodorants and shampoos, and as a result of their widespread use, are often found in landfill sites. It is these contaminants that pose one of the biggest challenges for the waste to energy sector. They can accelerate wear and scuffing in engines, resulting in the need for more frequent maintenance procedures and limiting engine availability. Due to the contents of the gases used, pre-treating is required. This helps to reduce the extremely corrosive nature of these contaminants, such as sulphur compounds, which can lead to engine damage. Lubricants are also vital in protecting gas engines but this becomes particularly important in those running on aggressive gases. As these gases are particularly corrosive, operators need to consider a lubricant that can help mitigate the risks and still maintain performance. There are a number of points that should be taken into account when selecting an effective lubricant that will extend oil drain intervals, reduce the frequency of maintenance and ultimately improve power output. One important factor when selecting a lubricant for an engine running on biogas is its total base number (TBN), which identifies its acid-neutralising capacity. Alkaline additives used in higher TBN lubricants can help protect engines by absorbing and neutralising the corrosive properties of sulphuric acid. 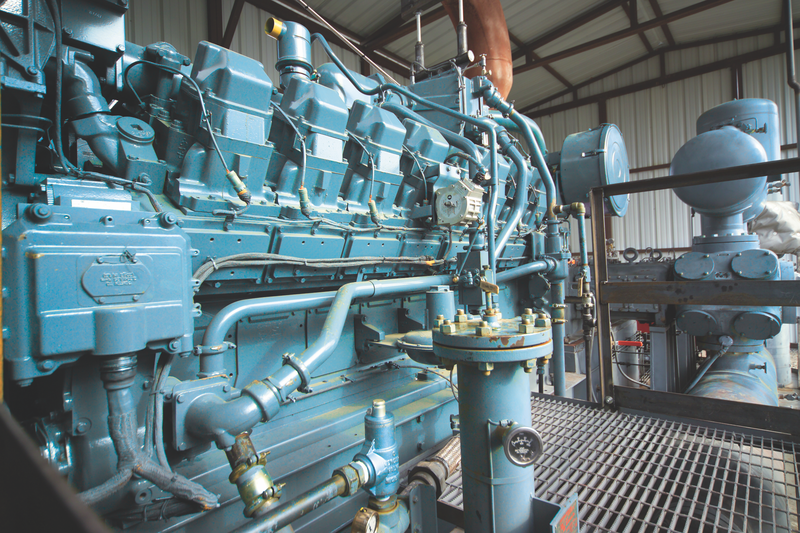 As a result, component and equipment life can be extended, reducing the risk of unscheduled downtime and engine failure. To improve the productivity of waste to energy power plants, regular oil analysis should also be conducted. Examining changes in the oil analysis data over time is necessary to assess the condition of the oil. Conducting regular used oil analysis can help operators anticipate oil drain intervals, reduce maintenance and, in turn, improve safety. This demand for energy shows no sign of slowing ,with world population rising and access to technology expanding. As a result, unconventional resources such as biofuels, wind and solar will increasingly be utilised in power production operations. With new fuels come new challenges and the latest advancements in lubrication will become more important than ever to ensure operations run efficiently and reliably. Jarmo Vihersalo is with ExxonMobil.